Blue River Sports is celebrating its 37th season this year! 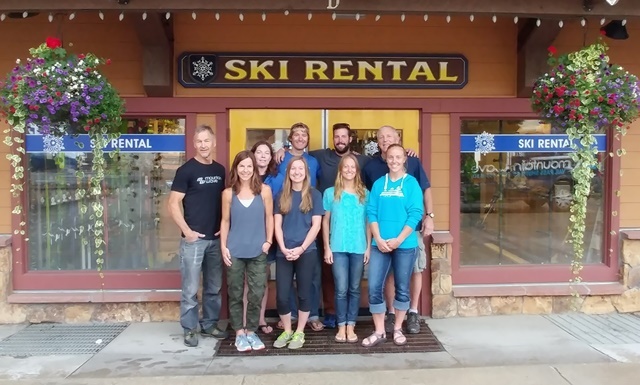 Mountain Wave, our snowboard and retail shop, will be embarking on its 26th year! We modeled both shops around a simple concept: Treat customers the same as we like to be treated on our own vacations. Create a clean, comfortable and efficient shop with staff that shares our own enthusiasm for the sport. We wanted a shop that people would recommend to their friends. After 35 years, our priority is still the same as it was back then. It’s easy for us to come to work knowing we have the best service and equipment in Breckenridge at very fair prices.